American actress, best known for films such as The Hunger Games, Winter's Bone, Silver Linings Playbook, Passengers and X-Men: First Class. In 2010 she said her height on her own website: "I'm 5'7 1/2". In 2011, however, she upped her claim and said she was "Five-Nine", although by 2013 reduced it again, saying "I'm like Five-Eight". She also commented in Fabulous magazine that "When I'm in high heels I feel like an ogre, I can't walk and my feet are uncomfortable." She is 172cm on spot. I say she is 1.71 m.
Always thought she was 5’9! But i believe her first claim of being 5’7 and a half before she changed her mind! Her claiming 5'8" is actually reasonable since she is a half inch below that mark, but she is seriously saying that she's 5'9" when she isn't even the full 5'8" lol. I never bought into the 5'9" height for her listed on Google, they even tried to say 5'10" and 5'10 1/2" for her when Jennifer looks nowhere near being that tall. She's a tall girl period, so I don't get why Google inflates her height and why she embellishes her own claim. She was shorter than 5'9" Sophia Turner in the X-Men and barely looked over 5'7" with Liam Hemsworth in the Hunger Games. She's not that much taller than 5'5" Josh Hutcherson and looked too short next to Liam in heels to be 5'9", let alone 5'10". I thought she couldn't be taller than 5'7" for a while after seeing how short she looked next to Liam Hemsworth in the movie who made her look average height. JLaw is 5'7.5" max, she's not even the full 5'8", she's no taller than Shailene Woodley who's a weak 5'8" too. She is still tall for a girl guys, I barely see girls over 5'5". Jennifer should be proud to be this tall and beautiful, she's practically a model. @Scandinavian You're overestimated her. Shes at most 171.5cm. She definately looks a bit taller than the listed 172cm - at least when pictured alone. Her torso looks tall and the limbs don’t seem short either. I would easily guess her at 174cm. According to Medscape, the male equivalent of her height would be roughly 6'1⅛ (185.7 cm). So, she is definitely what's considered by most to be a tall woman. I mean maybe near 1/4 over listing. She look like 171cm not sure that fraction more counts. 1/4 under listing. Pretty accurate. Fully 5ft 8 easy. Tall girl. You say she's honest about her height, but she's also claimed 5'7.5" and 5'9". That goes to show you that she isn't. She seems like the type of person that wouldn't lie about her height or weight. If she says "about five foot eight" she probably is within 1/2 inch of that measurement, so 67.5" - 68.5" seems about right. She looks fairly tall. She is a weak 5'8" or more like 5'7.75" , she looks a little taller than 5'7"
She can look 172cm sometime but its matter a time of the day and fell flat impression like shes just a 171ish girl. Ooh! I just thought it worth mentioning that, having today completed my first comment on Elisabeth Shue, I think it might be a noteworthy addition to say that 5ft3 (tops!) Elisabeth once played the Mum of Jennifer Laurence, 4 and-a-half inches taller! They did pass for convincing mother and daughter due to their similar blonde looks and even-featured pretty faces, and we all know that that sort of height difference is commonplace between mother and daughter when Mum marries a taller fella! I'll be back later with the title of the film! It's a psychological thriller stroke horror film. The lovely Jennifer gets 5ft7.5 today from me! If you come across any interviews of her, I thoroughly recommend them! She is funny and entertaining and she loves the English! After seeing Red Sparrow, I think she could be 5 7.25. I didn't realize celebrities (other than models) lied about their height. Knowing that Taylor Swift is likely shorter than she claims, it's weird seeing how short Jennifer is next to her. I think they all get away with it since everyone else is lying. @ tony t. - Hi Tony! I can easily understand a 5ft5 girl wishing she was taller! I've known quite a few myself! Your girlfriend probably hung around with much taller people! There are lots of celebrities who, when asked their heights, say, "I'm only 5ft5!" and genuinely mean it, and unsurprisingly you then find out that they have sidelines in modelling work. I still think that Jennifer has nothing to worry about, but she probably looks up to and admires taller people, so it's fair to comprehend that she wishes to be like they are! @Sandy Cowell I'm not sure because 5'7.5 is definitely a good height for a woman. There's just something about the way she comes across though; it's like she wishes she was taller in my eyes. I once dated a chick that was 5'5 who wore nothing but boots and heels all the time because she wished that she was taller. She wanted to be like 5'8, or anything that was taller than her given height. People in general all being different. Women are not "all alike" by no means. Even girls can sometimes wish they were taller. I think she is 5'7 but is just one of those people who look super tall. She doesn’t look 5’9....I would guess 5’8 though. And women don’t wear heels to be taller...we wear them to lengthen the leg line and it gives an illusion of being more slender too. @ tony t. - Hi! I respect your well-expressed opinion about Jen, but why ever would she crave wanting to be so much taller? At around the 5ft7-and-a-half mark, she is a damn good height! As I've said in a comment before, I DO like the girl myself, and am very fond of her naturalness and openly humorous interviews! On this icy-cold March morning, I shall give Jennifer a fair-and-square 5ft7-and-a-half! Way to put your own spin on what I said. I would never say the word "unique" and Jennifer Lawrence in the same sentence because I don't think there's anything quite unique about her; she's completely average in many ways! She is overrated and has very little, if any, charisma. All I stated was that she appears to wish she was taller! (Not unlike a 5'7 man who wishes he were taller for example.) Also that she does a good job of deceiving some into believing she is! Sure women wear heels, but most women, generally, (keyword "generally") don't want to be "tall" because they don't see it as feminine. JL on the other hand is clearly not satisfied with her adult height and goes to great lengths to disguise it at times. JL is full of BS when it comes to her 5ft9-5ft10 height claims. Unfortunately for her, by posing next to Taylor Swift and being towered by TS, JL's BS is utterly confirmed. P.S. Even if JL was actually 5ft9 (which clearly she's not even close), that does not make her an Amazon. One needs to be over 6ft in height (barefoot, of-course) in order to begin falling into that lofty category. Poor JL needs to let go of the crystal meth for a while as it's messing with those last remaining brain cells of hers.. The lass is gone. End of. She definitely seems to have a thing for looking as tall as possible, and making ppl believe she's taller than she is hence the big heels. How about that pic a few years back with Aziz Ansari though? It is rather telling, and a bit of a smoking gun. I was really starting to think she was actually over 5'8 but after seeing that picture she's definitely 5'7.5 at best. Don't a lot of women try and make themselves look as tall as possible when dressing up? I don't think she's unique in that respect. A real stunner. She's telling the truth, 5 7 1/2. She has the german nervous spirit. Needs Jesus most to get rid of the bad spirit. 5'8.25 is my ultimate highest guess for her. I think she is below that though. Do you think that most men are making a big deal of (lacking) height than women?is the height of men more important to men than women? I think men worry far more about their height than women do. It's good to hear people who aren't bothered about height when dating...there are far more important qualities in a person than how tall the top of their head is above the ground. Here with Luann De Lesseps ( Click Here ) -- Luann is 178; Jen is definitely 175. I believe it, but she looks 5'6/borderline 5'7. Likely about the same as RDJ, kind of weird to think about. I watched a golden globe tv footage of her with Katy Perry (5’7”), they seem approximately the same height with perhaps a very small height advantage on Jennifer’s side, so her height here seems about right to me. Thinking back how they looked together, the 5-9 claim is a bit high. 5'7.25" not a single mm over 171cm. i think she is tall 168cm.because she is kris jenner's same height look. @TheChemSpark The height difference between the average American man and woman is nearly 6 inches, so that would make her male equivalent a strong 6'1". @JJAK 171.5 cm is pretty tall for a woman. That's the equivalent of a guy being 6'0.5" (184 cm). If you only know a few women who are taller than you at 5'8" then 5'7.5" is quite rare for a girl, especially if you take into account the rest of the world and not just the U.S.
Haha silly girl outlandish overstatements are for boys "5'9" looks 5 7 maybe listing. That's really not particularly tall I know several women taller than me im not that short at 5 8.
emma stone 168cm.jlaw maximum 170cm. I think she's definitely 5'7 because last night she was on Fallon, and she seemed tall against him (and he's 5'11). I'd put her at a strong 5'7 but 5'9 doesn't seem like a lie either. I took a delivery to her once at her house when I worked for her agency. She was barefoot and we exchanged a few words. She's tiny, like 5' 5" - 6". She's also very small framed so that may have made her seem smaller. But there's no way she is 5,9. Ive always thought of her as being fairly tall, so minimum 5'8"
She has the build of a 5'9" girl. Editor Rob: it is rather unlikely I'm afraid. You're trolling Charlie. Rob who has measured himself at 5'8 has taken pictures with several female celebs who are 5'9 or taller. Like Gwendoline Christie whose 6'3. Jennifer Lawrence is 5'6 at most. Her claim of 5'9 is obviously her height with high heels on. I have learned that many actresses will put down a outrageous height like 5'9 which is extremely rare for a female. Very rare. These female Celebrities usually add their height while wearing heels. If a 5'5 female is always seen in 6 inch heels she will tell people she is 5'9. Taylor Swift is guilty of Adding her height while in Heels. People say wow Taylor is 5'9.5 that's very tall. Yep it is very tall but when she takes those Giant heels off she is no more than 5'4.Heck i am 5'10 flat feet. I might start wearing Kodiak Work boots everywhere i go and tell people i am 6'2.The fact is there is no true 5'9 female actress in Hollywood. There are pictures of her out and about ( Click Here ) and i mean, i believe 5'9 on her, but she looks 5'7-ish to me. of course outfits play a factor and things can make you taller or shorter. Beautiful personality and appearance. She's not 5' 9", but 5' 8" imo. Still tall for a woman. Andrea, You found it! A while back I tried finding her claims but gave up cause I couldn't find the clips. I was 5'8 1/2 at 19. Now 5'9 at 28. so I guess she grew half an inch from that age she declared she is 5'7 1/2. Her claiming 5'9" elsewhere is pretty silly. Another victim of the '2-inch rule', lol. Editor Rob: yeah, it's worth adding to show the inconsistancy of actor's claim. The 5'7 1/2 is most likely the accurate height came from her own mouth on her own site, They tend to upgrade by an Inch or two most these celebs with more fame. Elden Henson 1.77cm.Jlaw on a scene from the movie of hunger games 4 is about 1.70, not 1.75cm. This listing seems spot on, maybe upgrade to 5'8. It's weird that in 2010 she claimed 5'7.5, but in 2011, she said 5'9. And in 2013, she said 5'8. 5'8 seems like what she'd pass off at best especially barefoot. Hi,Rob.I'm exactly 5'7.25"(nearly 171cm). If I stand beside her,would I look similar? Btw I'm now 17 and wants to grow taller. My mum is 4'11(151 cm) but she's now 60 and 4'10. Dad was 5'10.5(179 cm),he died at 58 and he was finally measured at 5'9.75"(177 cm). When I was 13, I was 5'3.5. At 14, 5'5. At 15,5'6.5. At 16,5'7.25 and I haven't grown since last year and I'm worried. Is this my final height? Sorry for my long conversation. Thanks. Editor Rob: oliver, I believe she would probably appear taller, unless you had a small head...of course Lawrence usually wears heels a lot, so might look 3 inches taller if standing beside you on the red carpet. a small head is a visual advantage in fooling people into thinking you are taller when compared to other people. She looks bang on in the 5'7 category. My brother is 5'7, I haven't measured him, but I have measured myself and know I'm a legit 5'10 guy and I am three inches taller than he is. She looked that height in Hunger Games but then I also would have guessed 5'9 for her. I do like women of her height, it's a solid height for a woman to be 5'7. She is under 170 cm. I enjoy reading Jennifer Lawrence's interviews. She is hilarious and thoroughly likeable. I'd heard that she was about 5ft7 and here is the proof, with an added half inch for good measure! It is good to know Jen likes the English sense of humour! And we like her! aye micky, me too. She is 171 cm. She didn't lie about her height. She does look 1,71. She's as height as McAvoy (1,70m) or 1cm taller. Is 5foot 6 possible ? Editor Rob: would watch 10 Adam Sandler films back to back if she was this short. @ Rob & @ Allie, here are the interviews you're looking for: Click Here at 4:23 she said "I'm 5'9" and Click Here at 0:16 she said "I'm like 5'8". She wears monster hills. Tha's why she falls all the time. 171 cm is bang on for her. Some times she can look a legit 5'8 / 172.5-173 cm but this is fair. Editor Rob: I do believe she is a bit over 5ft 7, but not 5ft 8. Not sure about 5ft 7 flat though. Actually Rob, is 5ft8 a possibility or do you think she isn't quite there? Rob! I think she is 1.75 because this is her next to 1.75 Diane sawyer... If she wasn't wearing heels I think they would be the same height... What do you think? Editor Rob: it just seems too high for me. At times she is in a big platform heel, and might appear taller than we'd think because of them. Rob i think you should upgrade her, she looks the same height as 6'1 ( even when they have 1inch dress shoes ) footers with heels. Don't really know what type of heels the two were wearing, but I reckon the heel height difference wasn't that much. I know it's from a distance but in this photo she doesn't appear any taller than 5'5".5 Aziz Ansari. A true 5'9" individual would have almost a head on him like Adam Scott does. Definitely no more than 5'7". Perhaps Jennifer has a 'tall wish' but was honest at first because she felt 5'7".5 was already very tall, however when she really became integrated into Hollywood and found 5'7"/5'8" girls a dime a dozen, she felt the need to up her claim again and again? Still a wonderful actress and a very pleasant person. Saw her wax model at Madame Tussauds London. I am 169 cm and was wearing 1.5 inch heels. She had about a .75 inch boot on. Even then, she towered over me by about 1.5 inches, which made it seem like the model was anywhere between 5'8.5 to 5'9. Since Madame Tussauds didn't quite take her measurements down and used their best judgement, it is likely that her height could be wrong since most sources state she is about 5'9. My guess for her would be anywhere between 5'7 to 5'8 by seeing her in comparison to the reset of the Hunger Games cast. She's listed as 5'9 because she upped her claim. Which reminds me, I have to try and find her interviews where she bumps up her height. She's listed as 5'9" everywhere but if you saw her with Katy Perry at the Golden Globes Awards recently she didn't look it. Possible that she appeared just half an inch taller then 5'7" Perry, even that I wouldn't be sure about. Her and 5'7" Amy Schumer at last night's Golden Globes. Amy seems to be slouching and Jen is standing pretty straight. If you watch the video they are more or less the same height. This listing is spot on but lol at the 5'9"/5'10" claims. Rob, could you add that in recent years she's started saying 5'8 and now stuck with a 5'9? I'll have to do some digging, but I swear I've heard her say 5'8 one time and in a matter of months come out with 5'9 which is what just about every site says she is now. Editor Rob: I'd need to find the clip or see the interview to add that again. she looked 6 cm shorter than 180 Fassbender in 2011. So she somehow looks around 175. I cannot explain it. I think she had flat shoes in Xmen. She shorter's than Charlize, Nicole Kidman and if she was really was 5'9 or even 5'10.5 whoever wrote that down, she wouldn't reach a tad bit below 6'3 or so Nicholas Hoult's eye level. Rob, didn't she claim 5ft 9? Yeah, any claims that she makes of higher heights should be linked...only found 1 where the journalist claims Lawrence is 5'7" without a quote. I think I know where that 5'10 claim came from! An article from the Dailymail once said she's in the 5'10 range because she dwarfs Hutcherson in heels and they think he's 5'7.. 169-171 range for her at the very most.. The Hunger games tirbute guide even said she's 5'7.5. And please, the books say that Katniss is suppose to be a frail tiny girl so obviously they're referring to Jen. Rob, you should add the interviews where she proclaims she's 5'8 and 5'9 and even the article where she is stated to be in the 5'10 range.. i'll try to find the links ;). Yes, she is really that height 1.72m and very honest about it. @Sammy - If she is 5'11, explain why she's still noticeably shorter than 6 footer Cooper and 5'10ish Kidman. Anyone who can claim she is only two inches taller then Josh must just be blind. Look at pictures of them together, she has probably 4 inches on him. So either he isn't 5-7, or she isn't 5-9, and I think it's the latter. If that were not reason enough for me to think she is 5-11, I met her at a fan event in LA. I'm 5-9, and even though she was wearing heels, I could tell she was way taller than me. With her heels she probably had 6 inches on me. Wasn't she 5'9 on Google? Jennifer is 5 ft 7-1/2 (172 cm), and 130 to 140 pounds, so that gives her a very ideal Body Mass Index of 21 to 22 -- she is moderately tall, so in heels could be 5'9" to 5'11". Her boyfriend the 6 ft 1, 175 pound Chris Martin also has an ideal BMI of 23, and is 8% taller than Jennifer, which makes them a near perfect physical match for each other in terms of height and body mass. No disrespect, but the fact that you know how much her bf weighs and what their body mass % is, well, there's something just not quite right about that. Obsessed is one word that comes to mind. A classic example of fame adding inches to your already full-grown height! I remember when she was listed on Google as 1.79m lol. Where did that even come from? Sometimes in google is the height with heels and not the real height, I know it because I've met some actresses shorter than me(5´5) with flats and their height in google was like 5'6 or 5´7 so I think she is 5'7. The first time I doubted about her height was when I saw an interview in a spanish TV program called El Hormiguero. The interviewer is around 5´5-5'6 and she looked like "a head" taller with that heels so flat she should be just a little bit taller but not 5'9. I noticed that as well. I watched the THG's like the day it came out. Googled J-Law how tall she was. Saw either 171 or 173 cm. A year later.. 173. And then a few months later, 175. Before she soared in the business, I'll take her previous claim over what she proclaims now. I believe she claimed 5'9" later, so that's why sites say 5'9". Don't know where 5'10.5" came from. However she is... she's perfect..! And by the way.. how come that anyone can comment on any other's body complexion??? no way! No one is perfect for every single person in this world, is it??? Why they listed her as a 5ft 10.5in in 2012 now 5ft 9in in 2015.There's no way she looks that tall, she looks like a good 5ft 6.75in or 5' 7.5"
Quite agree Sam, a very promising young actress to boot. I think her build and look is a very refreshing change, I think she'd look less attractive skinny, she's a healthy weight and should stay that way. Lawrence rubs some the wrong way but she is definitely attractive IMO and far from overweight. I feel like that comment was trolling a bit. So, does a rise in fame = a rise in claimed height? I'd peg her to 5'7 at the very least, maybe 5'6.5. But no where taller than 5'8. No need for name calling. I'm sure Judd would have apologized for saying that. She looks great to me. Not overweight by any means. She looks like she could be 5'7 flat. Was the same height as James McAvoy. Hey Judd...you're the reason women have insecurities. She's not over weight you moron. She's perfect without a doubt. Even in Hollywood terms, she may not be a stick but she's radiant. Again...Judd...she's not overweight. You're just judgmental. It's weird that despite her claiming to be 5'7.5" most websites still inflate her height to 5'10" - something she doesn't do herself. 171 cm is still tall for a woman, IDK why they insist on inflating heights. Just odd. No she's NOT overweight Judd, in fact it's a refreshing change to see a healthy looking girl working in Hollywood, she looks absolutely fine as she is and a great actress to boot. in your opinion what is her weight on these pictures? I think that she's 65kg range and you? Would a man equivalent to 5' 7.5" female be 6' 0.5"? No less than 171. 171-172 is her range. 5'7 at max and not a hair over it. Some like to use a comparison of her to Lupita Nyong'o to confirm her 5'9 claims while ignoring Lupita isn't even a full 5'4. After seeing her with Fallon I think she needs to be downgraded. I think this listing is absolutely on the mark. I once saw a JLaw fan blog on Tumblr say that she's 5'10.5", and I laughed out loud. Barefeet, she's no taller than 5'8". 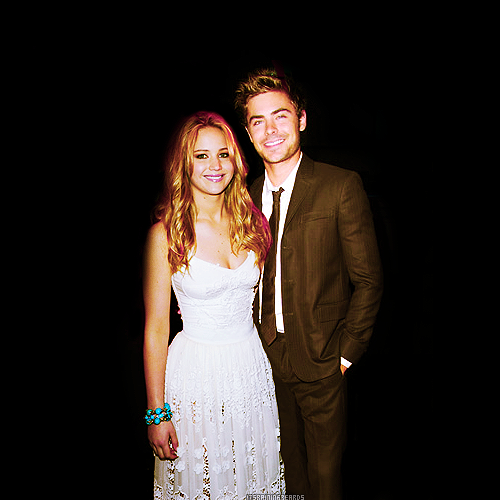 Just look at pictures of her standing next to Nicolas Hoult. Even when she's in heels and standing next to someone as tall as Liam Hemsworth, he towers over her. If she was really 5'10.5", she wouldn't be towered over by those two guys while wearing heels. Every time I see a public appearance of hers whether on the red carpet or talk shows, she's always wearing heels that are at least 4"
You do realise she's female ;-) A refreshing change from commenting on Bieber and Hemsworth anyway!! How much do you think she weighs? A lot of sites quote around 63kg. Does that sound about right? The original link I posted works on my computer. Forgive me because I'm not tech savvy, but I'm using Firefox as my browser. Maybe that makes a difference? That's fair. I'm not firm on exactly 5'6" but I'm not convinced she's as tall as the majority thinks she is. Truthfully, though, my particular observation is dependent on the assumption that Jimmy Fallon's listed height is indeed accurate. Let me try the link again. This is the perfect shot for a comparison between the two.. The link doesn't work, but it's important to note that 4 inch heels aren't actually going to add 4 inches of actual height, because a woman's ankle will compress to a certain extent. So her being a flat 5'6" seems very unlikely. The thing is she could have been using heels with boosts on the front. That could probably give her 4 inches if she's got a 1.5-2 inch boost on the front. I think she's closer to 5'6" This is a shot of her standing next to Jimmy Fallon on The Tonight Show. The heels she's wearing are tremendous (I'm no expert, but those have to be like 4-inches right?) and Jimmy is wearing a standard dress shoe so he's probably right about 6ft in this shot and he still edges her out some. So.. assuming she's more like 5'6" and wearing 4-inch heels; in this pic she'd be standing at around 5'10" and Jimmy gets a liiitle out of his shoes, but still stands taller by at least an inch. I think she's actually south of 5'7"
How much height would you say her footwear gives her here Rob if Cuba Gooding Jr. really is 5'10" barefoot? When you wear incredibly massive heels like she does during events, it's not too hard to get away with that claim. Here she is with 5'10" listed Cuba Gooding Jr. who's in dress shoes. How much do you guys think she weighs? avi, if she is short for a girl whats tall ? At 5'8 male i dont feel short, think before u say something. dont be foolish. in general 5'6-7 is short. She does not look particularly lean to me tbh...i would assume her weight to be 140+ lbs at least. Also I do not buy the 26 inch waist measurement. People lie about their height all the time, and they are even more likely to lie about their weight. Whenever you talk to an average Joe and ask about their height, they will tell you 1.5 inches more usually. Guys my height 5'7.5 say 5'9 , 5'10.5 say 6'0, 5'6.5 say 5'8. All girls and guys do this. She is about 5'7 flat i believe. She's not wearing much of of heel, and she's still taller than McAvoy, who'll be getting at least a little height from shoes. I think 5'7.5" is perfectly spot on for Lawrence. Jennifer Lawrence is wearing heels and she's still around the same height as 5'7 James McAvoy! She looks to have the same height as James McAvoy, who is 1,70 or 1,71m. I agree with Mc51295 5'6.5-5'6.75 is a better range for Jennifer. That would topple that discrepancy that she's 2.5 inches taller than Josh Hutcherson, which is clearly untrue, yet most people have been defending it for so long. I don't get it. I think she's more like 5'8,5"
Yeah she can look 5'9", especially with heels, but 5'7.5 or 5'8" seems realistic. Supposedly her measurements are 35-26-36, that would indicate a body weight of some 130 pounds, so perfect figure yet tall and lean. I've met her, a couple of times when she had flip flops on, I'm 5'8 and she was a bit taller than me. 5'9 I'd say. @avi, if she is short for a girl whats tall ? At 5'8 male i dont feel short, think before u say something. Just stood next to her in Berlin. I would say she is exactly 5'7.5". Honest girl. I see people are starting to downgrade her from her actual height now. She's not smaller then 5'7.5. I don't she's any taller than 5'8 at the most. I think she's really 5'7.5 but just rounds up half an inch like most people would. I'm wondering if all tall actresses claim to be shorter than they really are because so many actors are short. Maybe being tall can get an actress excluded from a project by her shorter A list male co-star? Look at all the photos of her with Matthew McConaughey. I've actually seen him in person and spoke to him briefly and he is 5'11 - 6ft. Somebody had his old driver's license up on the internet which gave his height as 6' and at the Texas DMV they don't ask you to estimate your height, they actually measure you with shoes off. If she is under 5'8, there is no way even in 4" heels she could have looked that much taller. Lol at people actually thinking she's 5'10". She's no where close to 5'10". 5'9" I could buy, but just barely. Also, she has NEVER claimed to be 5'10" so why do people keep making this up? If she was 5'9"-5'10", why would she claim the specific height of 5'7.5"? She is much taller than 5'7". Why would she underestimate her height? At the Oscars, she was taller than Matthew McConaughey. I've seen Matthew in person. He is at least 5'11". Maybe she had 4" heels on, but she still has to be at least 5' 9", maybe 5'10". If she also claimed 5'7", 5'8" and 5'9", could this be added to the top of the page? A lot of websites have her as high as 5'11? Shes been claiming 5'7, 5'7.5, 5'8 and 5'9. cant she just make up her mind? Rob once again has her height accurate. She does wears high heels a lot in premiere, normally around 4in heels, so she contradicts saying that "are uncomfortable"
Arch Stanton is on the money. 5'7... maybe even less. I'm sure most of you have seen how Lawrence's height has been incredibly inflated (5'10? Really?) - just take a look at this behind the scenes video of Catching Fire and you'll see her fooling around with Josh Hutcherson on the beach. The general consensus is that Hutcherson is no more than 5'5 (if that)...and there's maybe two inches between the two co-stars. As we've also seen, Jennifer wears pretttaayyyy tall heels to her premiers. There's a scene at the end of Silver Linings where it's really difficult to see over 5'7" next to Cooper. 170-1 is fine for her, but she's definitely not over 5'8 barefoot!! I'd say she is 5'7. She looks the same height as Josh Hutcherson. Plus she has really short legs for her height. She is at the most 5'7 and wears 5 to 6 inch heels like every actress in Hollywood. Saw in person (didn't meet or talk though) and she is average height but taller than petite costar Amy Adams. I really think people (men especially) are forgetful of how huge todays pumps and heels are. 5 inch heels are the norm now. And it really can though height gauging off. @Realist Efron has got to be standing on a step or something. @katherine she said it on her website, before she got seriously famous. Not only men claim to be taller, women claim to be taller too. Taller is considered more beautiful; look at beautiful tall supermodels. Rob has estimated her height right. Rob why is five ten the consensus now? Is it that important or productive for her image to make her seem that tall? @Raz I met her in Berlin. I am currently only 1,73m (5'8) and I would be definitely a littlebit taller, if we would compare. @Raz: She's not anything above 5'8. I'm not calling you a liar, but she's not 5'9 or above. She's 5'7.5-5'8 max. Don't be thrown off my the insane 5'10 listing that someone put up as a joke. She is towered by Nicholas Hoult. Click Here If she's really 5'10, she wouldn't be towered by a 6'2 guy. Certainly 5'7 or 5'7 1/2. Look at this picture of the first Hunger Games promotion with Liam Hemsworth, Jennifer Lawrence and Josh Hutcherson, where she's clearly not wearing any heels. She's taller than Josh Hutcherson alright, but not nearly as much as we think. Find images of James McAvoy, Jennifer Lawrence and Nicolas Hoult She's relatively the same height as James McAvoy and for points of comparison Liam Hemsworth is listed as 6'3 while Nicolas Hoult is 6'2. Did you know that Tom Cruise used to listed as 5'11" at first and he was only 5'7"? I'm 6'2" and I met Jennifer at the presentation of Hunger Games 2 and she was wearing 4 inch heels and was just slightly taller than me. So yes the 5'10.5" is very accurate. But when I met Tom Cruise he really was more 5'9" but not 5'11". I think she's a genuine 5'7" - 5'7.5" girl. People forget how tall that height can look for a woman, especially when considering footwear. Also, a girl who is 5'7.5" is at least in a high height percentile in most western nations, easily 80th+ percentile for women. It is so hilarious that 5'10" and up is claimed for her elsewhere. I think 5'7.5" is spot on. She is between 5'6.5 and 5'7.5 no more. 5'10.5 is nonsense,she would tower over Bradley Cooper in Heels. 5' 7.5' .. yup .. something like that . and lol .. she listed herself as 179 cm ??? She's at least 2 inches shorter. This height 5'7"5 seems right for her. Click Here in this video she says she is 5' 9''... do they get more roles or something if they are taller?